absence of this experience. ‘pariNata-candra-vadanA’ says the shloka #7. That full-moon-face is easy to be kept in mind. Stick to it. 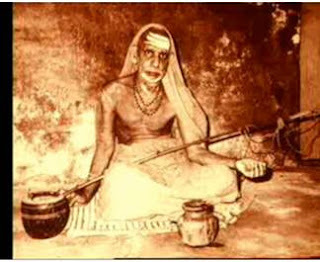 Think of the nectar flowing from the graceful glance from those eyes and the nectar of the blissful smile of that face . She gives you what you thought about and grants you the internal light of the moon and an internal flow of nectar.